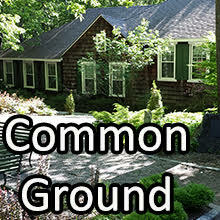 Yale hosted Common Ground: Interfaith Cooperation and Environmental Responsibility June 7-11, 2010. 1. To help participants better understand the current environmental crisis, including its scientific, social, and spiritual dimensions. 2. To provide students with opportunities for meaningful engagement across religious traditions in a hospitable and supportive space, equipping them with skills to navigate the challenges and possibilities of inter-religious encounters. 3. To provide students with meaningful textual, liturgical, and artistic resources to help them shape their environmental thinking and action. 4. To share with participants skills that will help them develop effective coalitions—intra-faith, interfaith, and religious/secular—for positive environmental change. It is our hope that participants will return to their schools better equipped to take action on their campuses and in their communities. 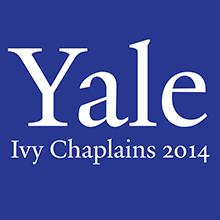 Ivy Chaplains Conference is an annual meeting of Chaplains from the Ivy League. It’s an opportunity to build relationships and exchange ideas across the Ivy League. Each school takes turns hosting the gathering, Yale hosted in 2014. Yale hosted the 50th Anniversary of the National Association of College and University Chaplains (NACUC) June 27th - July 2nd, 1998. 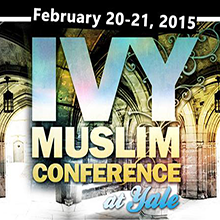 Yale hosted the 5th Annual Ivy Muslims Conference February 20-21, 2015. The Ivy League is a consortium of universities that share unique social, intellectual and professional opportunities and challenges. In the midst of contemporary American academic life, Muslims at these institutions grapple with these opportunities and challenges, as well as issues of identity and purpose. This fifth Ivy Muslims Conference invites Muslims to explore, interrogate and discuss these issues, especially as they relate to their intellectual and spiritual lives. This conference will feature a range of panels and breakout discussion sessions on: Networking, Pre-professional planning, Challenges & Opportunities of Living & Studying as Muslims at Ivy Schools, Community Activism: Life after MSA, Gender Relations. There will be Sports & social activities on Friday night. The Keynote Speaker of the Conference was Shaykh Yasir Qadhi. Yale hosted Mosaics in Motion: Spiritual Leadership in a Multifaith World June 25-29, 2012. The world we all share is no longer static. Globalization and technology has given us unprecedented opportunities to cultivate new kinds of religious literacy that invite those working in ministry in higher education to actively seek to deepen understanding across all religious and spiritual traditions. 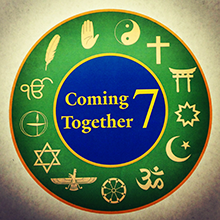 With this global gathering, we hope to truly embrace the growing multifaith dimensions of our chaplaincies. This conference will offer innovative approaches to engage and respectively challenge one another across varying perspectives through art, music, conversation and thoughtful reflection. It is our hope to be as inclusive as possible. Therefore, we enthusiastically welcome participation from a wide range of global religious and spiritual traditions. We are prepared to offer financial assistance to chaplains from developing countries in the form of scholarships to offset registration fees. We are also able to offer a limited number of scholarships to current seminarians who are interested in pursuing ministry in higher education. Conference participants will enjoy a diverse collection of dynamic programs, including keynote addresses and concurrent sessions of roundtables, chaplain voices, and paper presentations. Participants are welcome to submit proposals for concurrent sessions. The conference occurred Feb. 12th-15th, 2015 at Yale University. Coming Together is an opportunity for some members of student interfaith or mulit-faith councils to gather and swap notes about what it means to be in community with one another in a campus setting. The conference will involve several panels, keynotes and breakout sessions that will among other things discuss the unique challenges and advantages of building interfaith communities on a university campus, strategies for sustaining spiritual wellbeing and the role of religious identity in the educational landscape. There will be some fun surprises and unique offerings that should make for an enlightening time of engagement with new friends. Each college or university nominated up to three students to be part of CT7. All students received free room and board; however, institutions sending participants are responsible for travel arrangements to and from the gathering in New Haven. Check out our Facebook Page for all photos from the conference.